It’s Morphin Time! As an ancient Evil was accidentally released by two astronauts in space, this will have a serious impact on earth as well as for five unsuspecting teenagers from Angel Grove. That’s right people, The Power Rangers are back in action! we see a 90’s team set in today’s world, In Go Go Power Rangers #1, By Boom! Studios. We are re-introduced to Jason, Zack, Trini, Kimberly, and Billy. This first issue, the megazord is going up against the only creature that can pull off an all gold outfit, Goldar! The Power Rangers take the win and Jason, quickly understands that a war has started. As we dive further into this issue the writer Ryan Parrott gives us a breakdown of all the rangers equipped with age, likes, dislikes, and favorite quotes, talk about checking out their bio’s. By the way when you see this issue, I have one question how is Jason a 15-year-old and be that jacked in this book? But hey, that’s why we enjoy comics! As the rangers sit around debating whether Zordon, this magical floating head that grants them powers is someone that they should trust, they are quickly called into action by that lovable robot, Alpha! Ay Caramba! The Rangers are called in Because after a long sleep Rita is eager to get down to business and destroy the earth and anyone who stands in her way! This book is very reminiscent of the 90’s Power Ranger that we all grew up with and yes, Bulk and Skull are there being their annoying and loveable selves. And man this book brings back memories. We all know how the TV series went let’s see if the Rangers have good luck fighting this Rita Repulsa who doesn’t seem to be a push over as her TV version. It's Morphin Time! Boom! 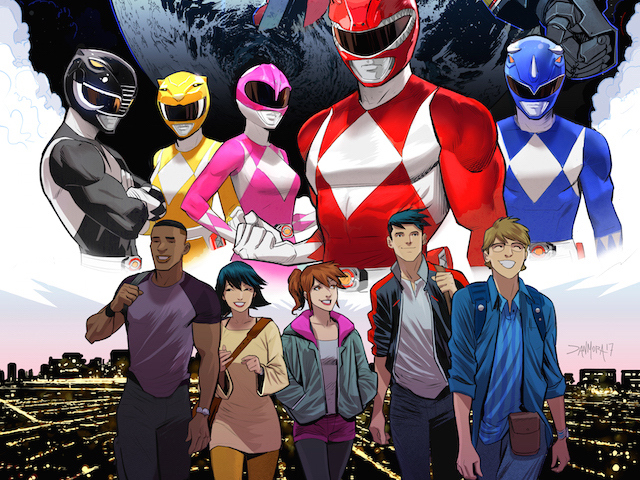 Studios brings us a new monthly series called Go Go Power Rangers. Do yourselves a favor and pick this book up this week.